You'll find powerlifting supplies in this area of the site. To read powerlifting and strength training articles visit our huge article database. You'll find plenty of powerlifting routines and motivation. 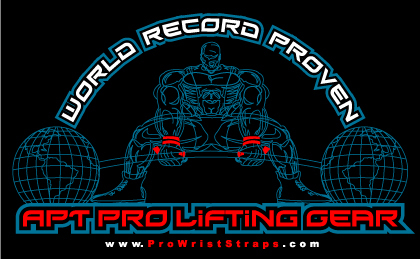 If you're looking for equipment we've partnered with APT Pro Wrist Straps to bring professional grade quality powerlifting gear. If you're looking for powerlifting records visit our records page here. For links to more orginizations and federations please read our questions and answers article about how to chose a powerlifting federation. Pictured to the right is a photo of Alan P Thomas of APT Pro Lifting Gear and myself. Alan is a good guy and one of the few people in the iron game that I trust. I personally use APT products such the bench belt, power belt, convict wrist wraps, knee sleeves, kettlebells, and forearm bar to name a few. You get the point. Why do you care though? Simply place ANY size order with NO Minimum order amount. When checking out & in the "Extra Info/Comments"section state the design by Name and if you want 12" Wrist Wraps OR the Basic set of Lifting Straps (Black or Natural). In the "Coupon" section when checking out use the Promo code of CBENCH (one word no spaces) and you're good to go. That's it, simple and you're all set. POWER Magazine will feature concise, tightly edited articles on training, lifting gear, gym equipment, major meet news, nutrition, and the top powerlifting gyms around the world PLUS interviews with powerlifting's most interesting and influential personalities. Pre wrap and athletic tape used in most sports, then the pre wrap is a thin material that is used to keep the tape from sticking to the hair or skin of the athlete. The tape is athletic tape, a white, cotton based adhesive material that sticks to almost anything, except if the surface is wet. It will tear and cut so that it can be sized for application. It is used on ankles to stabilize them to prevent sprains, and can be used almost anywhere to either prevent injury or keep and injured area from becoming worse. Read the Review Of APT's New Single Ply APEX Bench Press Shirt. Two Lifters Test It Out & Two Lifters Get PRs. APT Pro Gear's Unique sleeve configuration delivers more thrust with more ease for BIG benches at a world Record level. The straight cut sleeves and flexible back make it easy for you to put the shirt on and take it off. Tight sleeves aren't necessary in our shirt. The APEX Bench Press Shirt does what it's supposed to do,......let you bench BIG numbers with MAX support where you need it!!!! 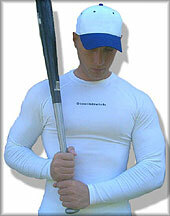 The APEX Bench Press Shirt is great for Archers and Non-Archers. 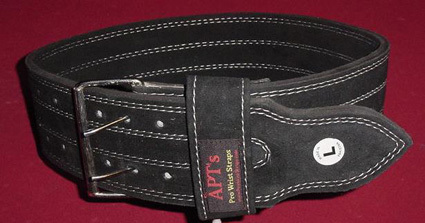 Ab slings are hanging straps, which are looped, padded, provided with metallic hooks that add to any bar or rod. You can hang on to these slings and perform leg curls. These APT ab slings encourage superior toning, trimming and conditioning of the entire abdominal area without lower back strain. 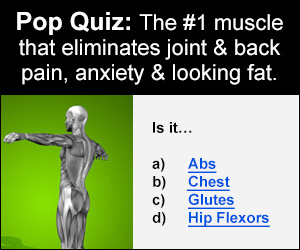 In fact, they can actually help a bad back by stretching the muscles and decompressing the spine. Weight Lifting Hooks are an aid to help you hold weight bars. All weight limits noted below are Approximates. DO NOT USE the weight lifting hooks to free hang or to let bars free hang from the hooks. The Weight Lifting Hooks are designed to hook onto a bar and for you to hold the hooks as a grip/strength aid. Weight limits are for BOTH hooks combined and your actual grip on the hooks/bar. These are Excellent Sellers, you'll LOVE THEM!!! Fractional Fraction Plates come in 1/4 lb, 1/2 lb, 3/4 lb and 1 lb weight sets. 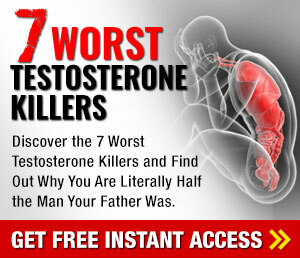 Don't want to add 2.5 lbs X-s (5 lbs) and want to add less (2 lbs) ? This is your fix!! Powder Coated, Chrome and Gold plated and built to last, fit standard olympic 2" & Standard 1" bars and dumbbells. Quality - Plates are made from high-quality, powder-coated, Chrome and Gold plated steel (not aluminum). Each plate is machine etched with its weight for easy identification. If you're interested in a very effective and versatile piece of training equipment that can be used for forearm and bicep training, the Forearm Bar is definitely something to add to your equipment roster. The Forearm Bar gives you a very strong pump in the forearms and the unique angles of the handles allows a more natural feel during the forearm exercises, making your hard forearm work more productive. 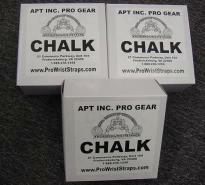 APT has the LARGEST selection of Lifting Straps available in the WORLD. EVERY set is CUSTOM BUILT when you order, NOTHING is stocked, NEVER EVER EVER!! No where else will you find CUSTOM built Lifting Straps that work this well, NO WHERE! The purpose of chains in the bench press is to build speed (accelerating quickly off your chest) and learning how to explode the weight as you hit the lockout (the finish) of the bench press. As we bring the weight to our chest all the chains should just role into a pile on the floor. As you press the weight up, the chains then come off the floor with the bar making the weight heavier. - 2 products. Powerlifting bands provide one way to incorporate what's often called the contrast method into your program, which means the weight changes at different points of the lift. 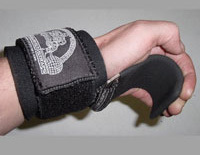 The Ivanko Super Gripper is one of the most efficient forearm strengthening tools known to man. At just over two pounds, the Super Gripper is lightweight, portable and perfect for anyone who is serious about grip strength. The Tommy Kono T. K. Knee Bands are specially developed knee bands which are not your typical knee sleeves, knee supporters or knee braces. 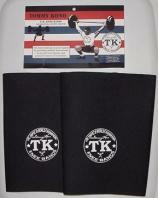 When you wear the T. K. Knee Band, you know you have something that will protect your knees from injuries. One off the Best Bodybuilding DVDs ever in the history of Bodybuilding that you will ever own!! 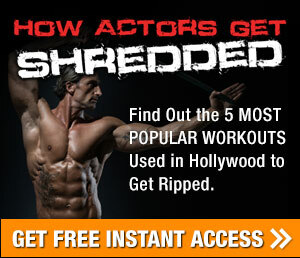 Why do you think that Ronnie Coleman is the 8 time Mr Olympia champ,..........let Ronnie Coleman show you how here. You'll experience MOTIVATION like you have never have before! These sculptures are made of a durable poly-resin coated with a beautiful metal like gallery bronze finish and hand-antiqued to highlight the details. APT Logo PREMIUM Delux Black Leather Dipping Belt. HEAVY Black Premium Grade Leather Dip Dipping Belt Dipping Belt. APT Logo shows you mean business during your Heavy Dipping workouts!!. SUPER Tough and built to last. SUPER for Triceps and Chest. Fully adjustable chain. 100 PACK Ammonia Inhalant Caps Capsule Powerlifting 100 PACK. These are Breakable Caps for weightlifting and Powerlifting Sports First Aid. Full 100 pack box at a bulk discount. Great for max lift attempts and for competition. See this page for more details and use of the smelling salts. 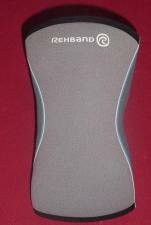 Rehband,....Brand New for 2007,....Rehband (NEW Gray Color) Core Line replaces the Previous Blue Sport Line products,....Core Line is specially developed for athletes and seriously active people, its a more fitted and defined sport range for all athletes. Rehband, Expierence the Best of the Best. Each finger of the hand is powered by a completely separate system of muscles and tendons located in the hand, wrist, and forearm. Most of the hand�s power is generated by larger muscles in the forearm while finer movements are controlled by smaller muscles in the hand itself. Our wrist is the bridge which stabilizes the interaction of the hand & forearm. The ability to control the ball or control the bat, racquet, or club all starts with the hands. Your hand is really five separate systems which work in seamless unity. The only way to develop superior strength, endurance, and coordination in your hands is to challenge and develop each finger individually. Available in several colors and styles. This category also includes pine tar, stickum spray and grip paste. 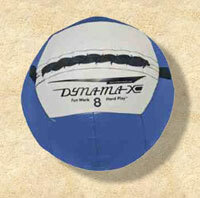 These DynaMax Medicine balls are oversized impact balls, meaning that they absorb impact upon contact with the body, a wall, the ground or floor. For the fitness minded, it provides flexibility, coordination and gaining muscle. Medicine ball training is also used for rehab with the elderly. Light ball motions improve their joints and strengthen muscles. These types of motions are also used to rehab injuries. It focuses on recovery and rebuilding while preventing strain or stress on the process of redeveloping. 1. Better fit: We feel it provides a more comfortable, firmer fit. From the feedback we have received from our customers, they agree. 2. Lower price: It is a much better value for the money. Compare our price of $29.95, which is 40% to 50% less than the competition's. 3. No-Risk Guarantee: We are so sure that you will find SteelStretch to be the best compression shirt you have ever had that he will give you a full 30-day money back guarantee (including shipping charges) if you aren't completely satisfied. Just send it back; no questions asked. What is a powerlifting singlet? It's an obvious question but you'd be surprised how many people aren't familiar with the term. A singlet literally means "one piece" of material. Kind of like a full piece bathing suit for girls. However this article of athletic clothing isn't used for looking good on the beach, it is used to compete in powerlifting. Most powerlifting federations require that all contestants wear powerlifting singlets in a powerlifting meet. Are you wondering what type of weight lifting belt you should buy? Read on for the information you need. A weight lifting belt is considered essential if you are lifting weights. Whether you are lifting weights for enjoyment as part of a fitness routine or you are into competitive weight lifting, then having support for your back muscles is very important. There are two kinds of knee braces. Functional knee braces are designed to substitute for damaged ligaments. For example, a patient who sustains an ACL tear may be offered a knee brace to wear in efforts to allow certain activities without surgery. Prophylactic knee braces are used to prevent knee injuries. Prophylactic knee braces are worn by athletes who participate in some high-risk sports in an effort to minimize their risk of sustaining a knee injury. According to research your ankles are the most vulnerable part of your body. Ankle braces and supports can protect an inured ankle or can help your heal faster from an ankle sprain. Ankle supports are comfortable and easy to wear. They're great if you have arthritus, a sports injury or just want to protect the joint.